Scores, in the broadest sense, are a form of organizing ideas, of communicating instructions, of archiving processes. This workshop will look at how to read and make different kinds of scores (notational, graphic, text, audio, video) which can then be used to create installations, compositions, and performances. For the purpose of this workshop, we will be creating scores around archival material pulled from the Pirate Bay. Participants will experiment with writing for themselves and for each other. We will focus on using small gestures and isolated parts of the body. By isolating one aspect of a body part, participants will explore physical boundaries and learn how to compose with minimal elements. This course is mostly practical and involves some discussion. We will start off with warm ups and exercises, gradually working up to creating longer pieces. Participants will perform, analyze, and discuss existing scores before making and testing their own scores. The workshop will end in a presentation of all scores and resulting performances. No previous experience in performance, composition/choreography or any form of score-making is required. Participants must be willing to perform. 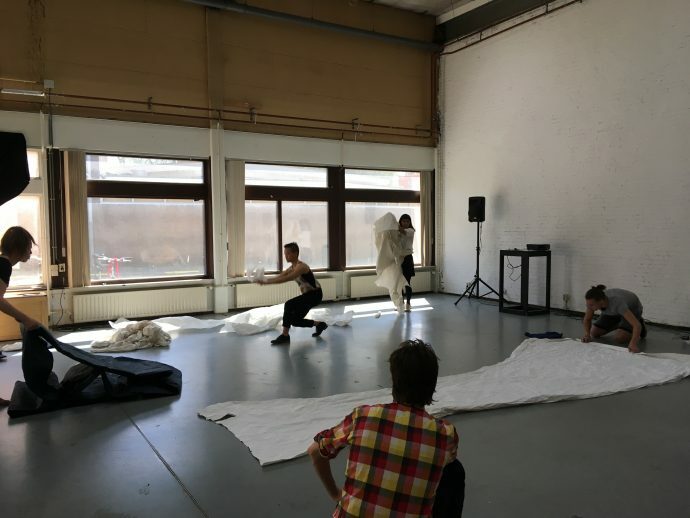 The first iteration of BodyScores workshop was developed and took place during a residency at iii.